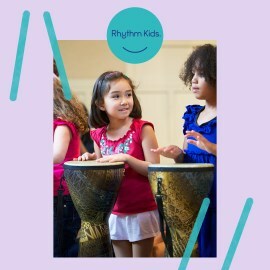 The Elephant Rhythm features triple-meter drumming patterns inspired by the traditional social dance from Mali known as Suku. We’ll enjoy dramatic play in “Elephant Stampede” and choreographed dancing and drumming in “Africa O Africa.” We’ll also learn a delightful Gaelic children’s song called “Dilín ó Deamhas” and, of course, have a blast doing “The Elephant Dance”! All 18 songs in this collection have been chosen and arranged specifically to support each student’s music development.